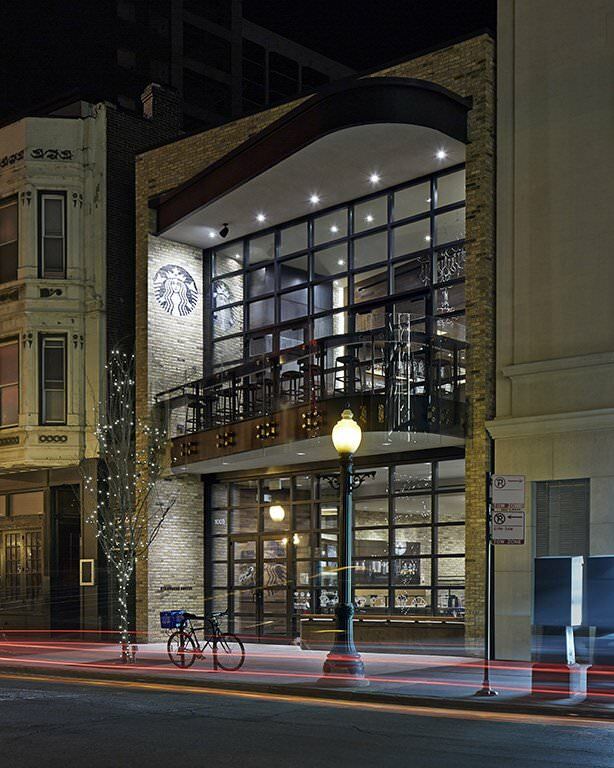 The Starbucks Flagship in the Gold Coast neighborhood introduces the coffee retailer’s community-oriented store concept to the Chicago market. 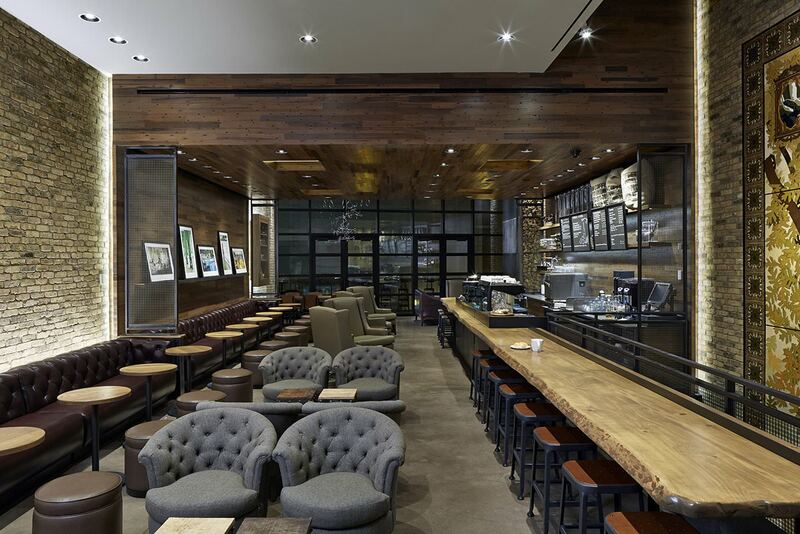 In a departure from Starbucks’ traditional storefront model, this restaurant occupies the entire two-story, 5,500 SF building. Fireplaces accent the comfortable seating areas, with ample floorspace for displaying retail merchandise and showcasing live entertainment. The exterior wall features glass and Chicago brick with channel detailing. 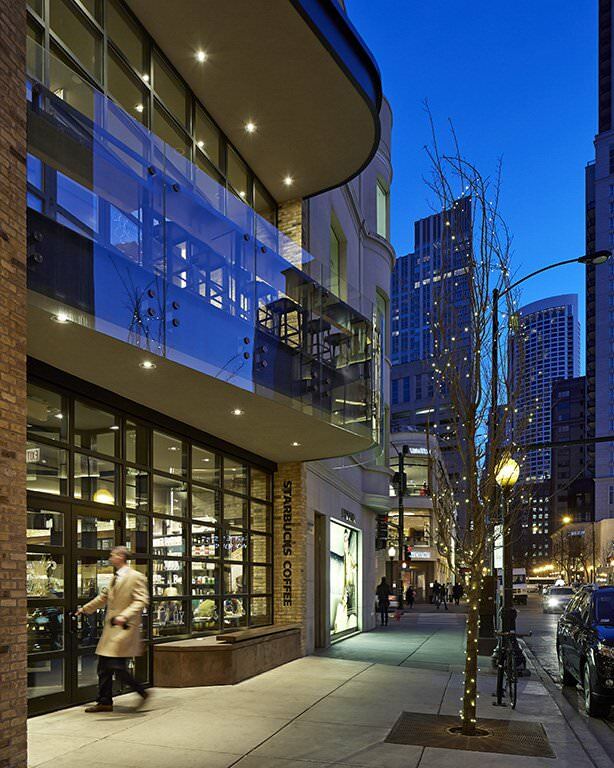 Glass doors that open up to the street and a second-floor balcony bring an active presence to this highly trafficked intersection of Oak and Rush Streets.